The Law Offices of Cooper, Storm & Piscopo, in Geneva, Illinois, provides exceptional legal representation in a variety of practice areas to help you with virtually any legal issue affecting your business, your family, your property and your future. We maintain a highly effective appellate practice. We can help you challenge a previous ruling in your case or defend your rights and interests in the event of an appeal in your case. We have a proven track record of over-turning unfavorable rulings and navigating the most difficult aspects of the appellate process. No matter how complex your needs or the circumstances surrounding your situation, we promise to do whatever is necessary to increase the odds of achieving the positive outcomes you seek as efficiently as possible. From this high level of customer service and our long record of success, our law firm receives many referrals from our satisfied clients as well as from other attorneys in the area who know we can handle even the toughest cases. 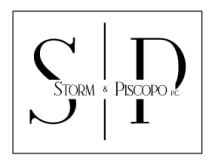 For more information on how The Law Offices of Cooper, Storm & Piscopo can best serve your needs and help you face the future with confidence, you can visit our website or contact our law office to schedule a consultation.